Every year I make a new scarf round up as soon as the temperatures drop. You can never have too much cozy, am I right? Here are a few that I've been loving this year and they're all less than $40! Plaids and leopards are my forever favorites, but I love a chunky knit scarf in a solid color, too! 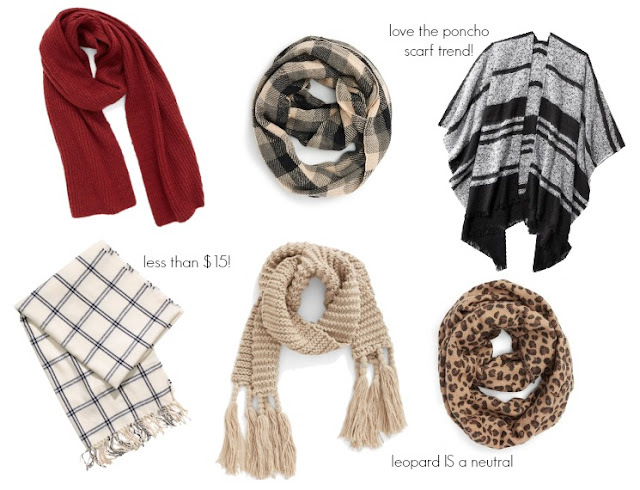 Do you have a favorite scarf this year?